The Lib Dem 2015 Manifesto. A Liberal future one policy at a time. Yesterday I went to the launch of the Liberal Democrat 2015 Manifesto, which sets out the party’s policies for the forthcoming British General Election. It is not a ringing declaration of liberal values designed to strike fear into the party’s opponents. It is a triumph of practical politics. The first thing to notice is that it is quite small – A5 format rather than the showy A4 of former versions. But that is not because it lacks content. It has 151 pages plus an index, and these are typically densely written in a small script. Almost nobody is going to read the whole thing. I have only picked at it. In the past I have slipped a copy of the manifesto through voters’ letterboxes after a request. This time I will just offer the link (above, incidentally). Beyond this there are eleven chapters, chock-full of policy proposals. These comprise a lot of sensible ideas, some interesting ones, some gimmicks. Plenty of these originate from the two policy groups that I have been a part of (Quality of Life and Sustainable Growth). One may be said to have my fingerprints on it – putting Personal, Social and Health Education (PSHE) into a slimmed down core national curriculum. There are some disappointing gaps. In the education section, for example, I can’t find any reference to changing the measurement of school performance by the progress that all children make – as opposed to the number that pass a particular threshold. This has been promoted by Lib Dems in government, and could dramatically improve the way many schools are run. Also a defence might have been made of the government’s health reforms – moving to a doctor-led system with proper local accountability, in place of the pantomime accountability of the Secretary of State. But these are details in a document that few will read in full. The first impression is overwhelming and underwhelming both at once. Overwhelming in its volume. Underwhelming in its lack of stirring themes -the party’s strapline is hardly going to put fire in the belly after all – all parties will say they are doing it. But on reflection I think it is rather wonderful. The party has learned much from its spell in government. The first point is that political progress rarely results from revolutions. The Greens call for a peaceful revolution, turning the whole way British government works upside down. In the past, I have wanted to do the same. Tear the whole system down and start again. Of course, revolutionary change has its place. Forming the NHS in the 1940s was a bit of a revolution, for example. But mostly revolutions bog down or get diverted by power struggles. The wonder of human life evolved through a process of incremental evolution (or so I believe); that makes it a bit illogical and random, but the advance from single-cell organism remains astonishing. So it must be in politics. And the second point follows swiftly behind this. 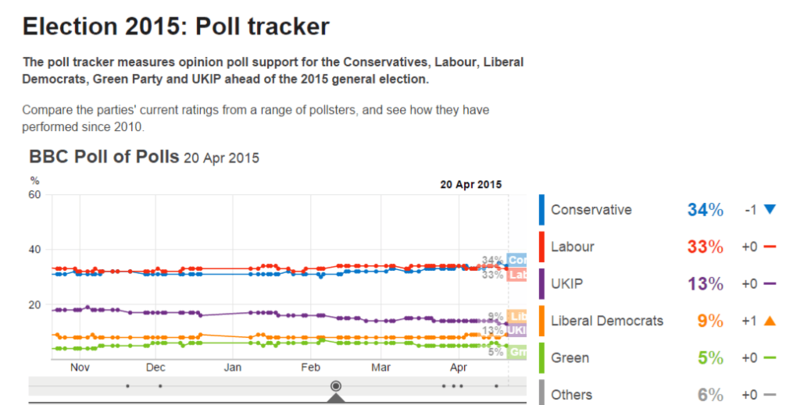 The Lib Dems are not a majority party, and probably never will be. We will never have a mandate to implement our vision in one bold step. (And neither will the Greens, which renders their policy platform pointless and laughable). We make change by persuading other people that our policies are the best ones, one at a time. And the people we must persuade are people who belong to other parties. The voters are not interested in the ins and outs of individual policies; they delegate that to politicians. Our policies get implemented in three ways: other parties may adopt them as their own (“stealing” it is sometimes called by insiders); or they may be forced to implement them as part of a deal to pass parliamentary legislation; or the party can implement the policies directly through a coalition government. The last is the most powerful, as those doing the implementation have the true vision. 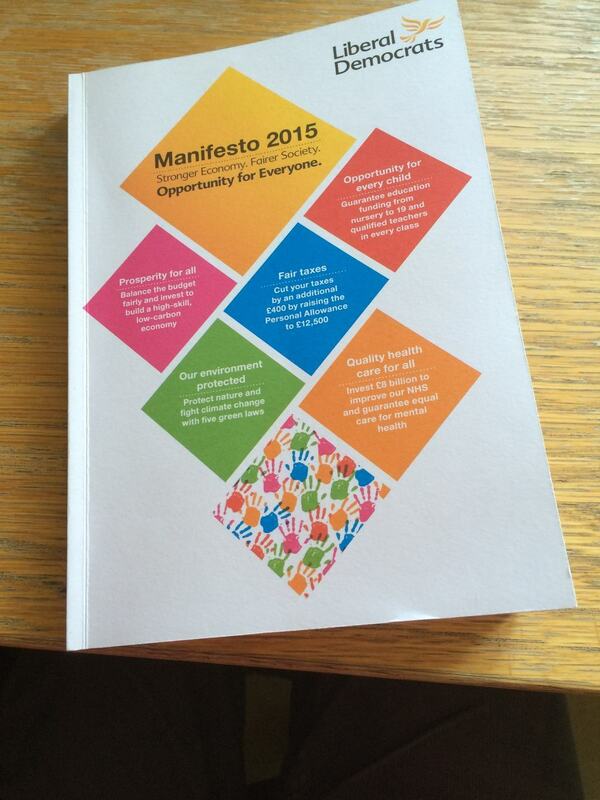 The Manifesto is designed to be basis for the Lib Dem share of any coalition government. None of the polices are so radical that no other party will ever agree to implement them – least of all the five headline pledges. 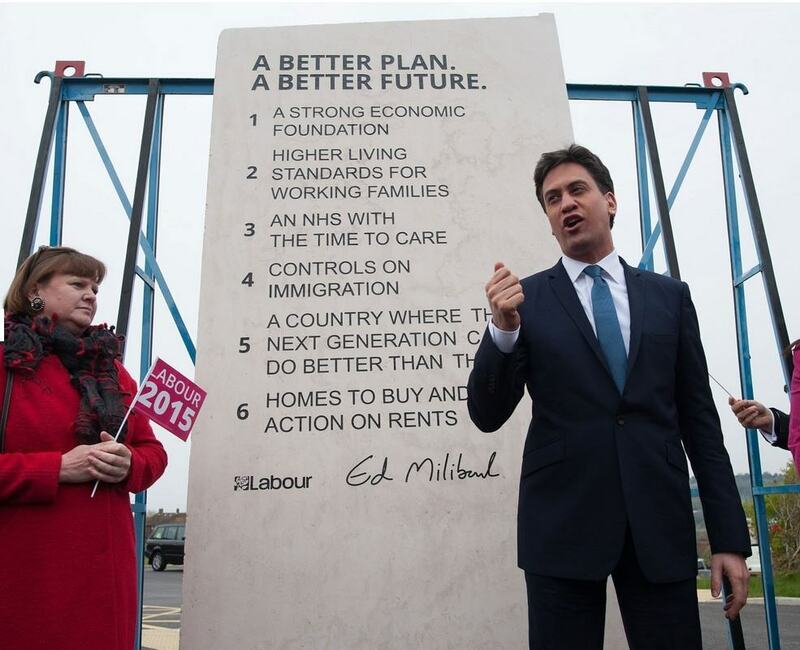 The last manifesto lacked the requisite detail. Taken together the policies would up to an important liberal shift in the way the country is governed. There’s something else. The manifesto proposals are clearly drawn from the party’s deliberative policy making processes, to which many members have contributed, and on which many more have voted at party conferences. These aren’t the bright ideas of a select elite dropped from a great height, or crafted by campaign “strategists” based on focus groups (or not most of them anyway). This ensures a basic level of thinking through – compare that the Conservatives’ muddled policies on the right to buy housing association properties, which starred in their own manifesto. It also gives some point to joining the party as a member, rather than just being used as a footsoldier in somebody else’s career. Of course we need to do the inspiring vision thing too. We need to recruit new people to be the party’s core supporters and activists, and keep those we have in fighting spirit. But that’s a different time and a different place. But what’s on display here is liberalism’s secret weapon. It may only be a minority creed, but its cosmopolitanism gives it a hearing in many audiences. People may not make a liberal society as their first choice, but as a second choice it has a very wide appeal. That’s a basis on which you can negotiate. And liberals are often ahead of the trend too; their ideas become common wisdom in time. Our country is a much more liberal place than 50 years ago. It really is possible to reach a liberal future one policy at a time. The quality of debate in Britain’s General Election campaign is predictably awful. Arguments are reduced to simple sound bites. And parties try to muddy the waters on their opponents’ key issues rather than engage with them properly. Many issues are hardly discussed at all. In a doubtless futile mission to raise the level of debate I will look at a number of issues from rather more objective perspective, and handle the arguments on an altogether deeper level. I am not, of course, an objective observer: I will generally make the case for voting for the Liberal Democrats. Let’s start with the issue the Conservatives most want to talk about: the economy, and which party is best placed to manage it. Their argument runs something like this: Labour cannot be trusted with the economy because they presided over the economic crash in 2008 and haven’t admitted their culpability. The Conservatives have a “long-term plan” that is yielding results without getting the country into too much debt. Labour are more reticent. They don’t accept that their party was responsible for the crash (or no more responsible than anybody else). They are severely critical of the coalition’s economic record, which, they say, swung to much to “austerity” (i.e. too many spending cuts, benefits savings and a rise in VAT), which choked off and delayed the recovery. They point out that Tory plans for the next few years imply vicious cuts to welfare. They also point to stagnant living standards for most people. Their plans for the next parliament involve significantly more public borrowing, supposedly supported by higher levels of investment. Arguments over the records of both sides over the last two parliaments are interesting enough. I mostly support the narrative of the coalition partners – but Labour can call on the support of many independent economists with real heft. But past record only counts to the extent it tells us about the future – and in this case it doesn’t tell us much at all. Both sides are placing more faith in the robustness of the British, European and world economies than is prudent. Many economists and politicians assume that there is a natural rate of growth of about 2% per annum, based on improvements to productivity, that the economy can be guided towards by governments with sensible macroeconomic policies. This seemed to be true before 2008, but it is surely questionable now. Demographic changes, with the proportion of working age people falling, are only the most obvious reason for scepticism; there are plenty of others, about which I have written often. That leaves us with two critical problems. How would the parties cope with the likely possibility of continued economic stagnation? How might they reduce the risks of such stagnation by making the best of any opportunities the country does have for growth? In the first case prolonged stagnation points to renewed austerity. In order to keep the national debt under control expenditure will have to be cut, or tax increased, or both. The deficit between taxes and spending is still high, and deficits are much harder to sustain if growth is low, even if, as now, interest rates are also low. Japan has managed to get away with prolonged deficits in spite of stagnation, it is true, but that is because they have trade surpluses and accordingly are less dependent on foreign borrowing. What will happen if Britain fails to get to grips with government finances? That is hard to say. In the modern, globalised economy, inflation looks much less of a risk, unlike the last time this situation arose, in the 1970s. Instead stagnation may become more entrenched, and unemployment rise, until there is a financial crisis and our banks start failing again. If there is renewed austerity the question arises as to how much of the strain is to be taken by tax rises and how much by public spending cuts. As a nation, we have higher expectations of our public services and benefits than most: the NHS, schools, social care and pensions in particular. I cannot see how such expectations can be met without raising taxes. And here there is a big snag. Both Labour and the Conservatives have ruled out any increase to Income Tax, National Insurance or VAT. These are the main taxes that the general public pays, and account for some two thirds of all taxes. Tax rises without touching these three mean, generally, that somebody else is paying. The trouble is that the “somebody else” idea is wearing thin indeed. Tax breaks for the rich have been steadily pared back (most recently on pension contributions), making our tax laws more complex and draconian in the process. Company taxes are considered off the agenda because that threatens investment (this may not be right – but treating company taxes as a football is clearly bad for investment). The wealthy are already paying for a large part of the services which they never use. Apart from practicality, we are threatening the idea that everybody should pay something towards public services, in order to maintain solidarity and consent. No party is facing up to this issue. Labour is particularly vulnerable. Their spending plans are more generous than the Conservatives’, as they hope to borrow more against infrastructure investment. Their plan to cut university tuition fees is particularly foolish. The SNP and the Greens are even worse. The Tories are more realistic, if you take their formal plans, laid out in this year’s Budget, with a pinch of salt. These envisage an unrealistically vicious attack on benefits in the first two or three years, followed by a relaxation. This is likely to be smoothed out in practice. But the party gives the impression that they would squeeze public services and working-age benefits rather than raise taxes. This probably is not what most people want. So, if the parties would rather not contemplate stagnation, how would they create the growth in productivity that would head this fate off? How might this be done? The traditional formula is so-called “supply-side” reforms – deregulation for the most part. The trouble is that these tend to benefit the lucky few, both in terms of skills and income, and geographical location, largely London and the south east of England, where property prices are already through the roof. So the most promising idea is to promote growth in the regions of England, and also Wales (Scotland is the one region of the UK has seems to have bucked the gravitational pull of the South East). There is no sign that any party wants to relax planning controls that might allow this swing to the prosperous areas to occur more smoothly. There is a growing realisation that more balanced growth can only be done through the devolution of political power, and the release of funds for infrastructure investment between and within the regional centres. The Coalition has been feeling the way forward with its City Deals, with Greater Manchester being the flagship. 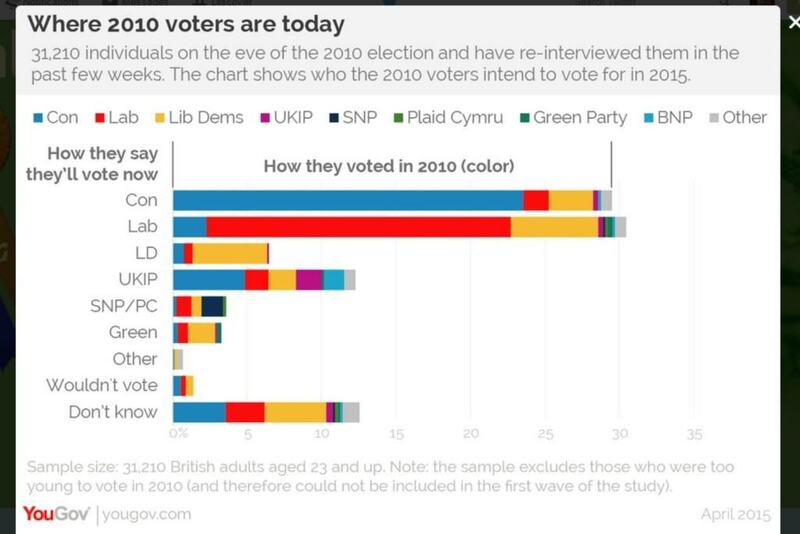 Once again, the main parties are disappointing. The Conservatives seems to place too much faith in deregulation – and their hostility to the EU and immigration represent roadblocks to future growth. Labour shows an alarming impracticality when it comes regulating and taxing businesses – and tackling such issues as low pay and insecure temporary contracts. While both parties are starting to talk the game on regional devolution, there is reason to doubt their commitment. Labour’s attack on the decentralisation of the NHS to Greater Manchester was particularly revealing. On both sides there is a lack of fresh thinking. The Greens, SNP and Ukip, in their different ways, are worse. What of the Lib Dems? They are silent on raising tax rates – which undermines their commitment to funding the NHS, for example. They are closer to the fresh thinking needed for regional growth – with a real understanding of what devolution means. They also have interesting ideas on developing a more diverse banking system and promoting alternative business ownership structures. But these ideas aren’t fully formed. They are the best of a bunch that ranges from weak to hopeless.